There is no charge, but a $2 donation is suggested. One room schools of Wabaunsee County. Click on image to view. Moon Bros. 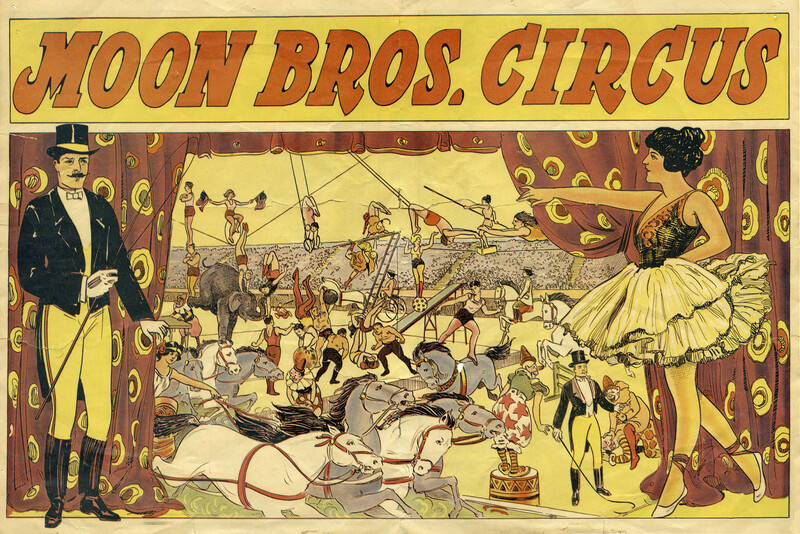 Circus Poster, 1924, Click on image to view. 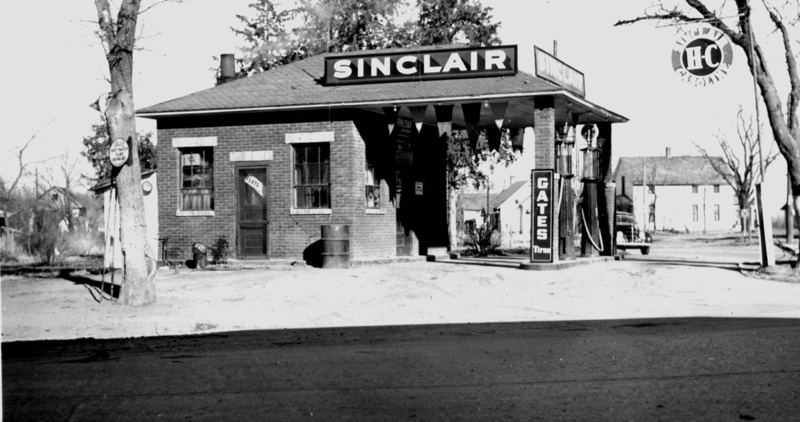 View early Flint Hills gas stations. Click on image to view. 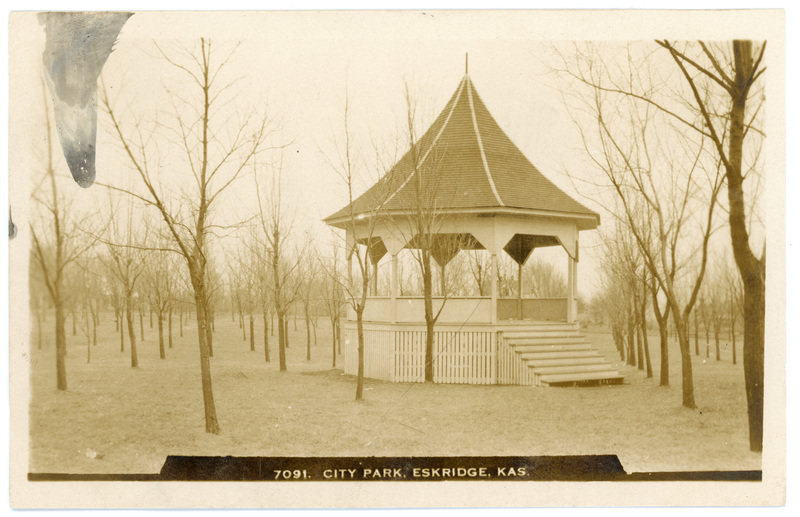 Eskridge City Park Bandstand, Click on image to view. 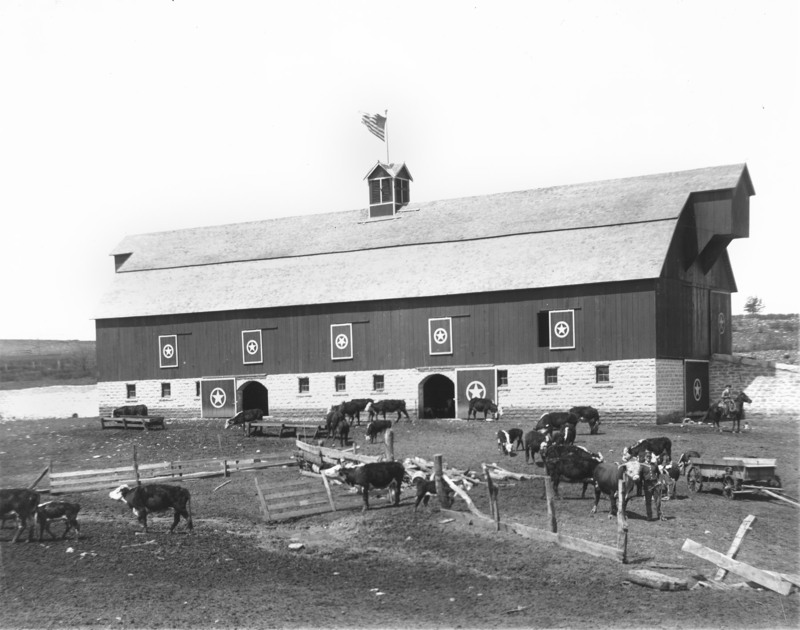 Barns of Wabaunsee County, Click on image to view. Today’s featured photo includes two views, both taken in 1888 by Louis Palenske, of his good friend, artist, August Ohst. August Ohst was born in Ratzeburg, Germany in 1851 and came to America in 1880, studying art in New York City before moving to Alma, Kansas in 1883. This photograph of August Ohst painting a portrait was taken by Ohst’s good friend Louis Palenske in 1888. Ohst spent the next half-century practicing his trade in Alma. Well known for his still life oil paintings, Ohst’s paintings ranged from portraits to rural scenes. Ohst also painted building interiors and was proficient at creating stenciled designs on homes, churches and businesses in Wabaunsee County. 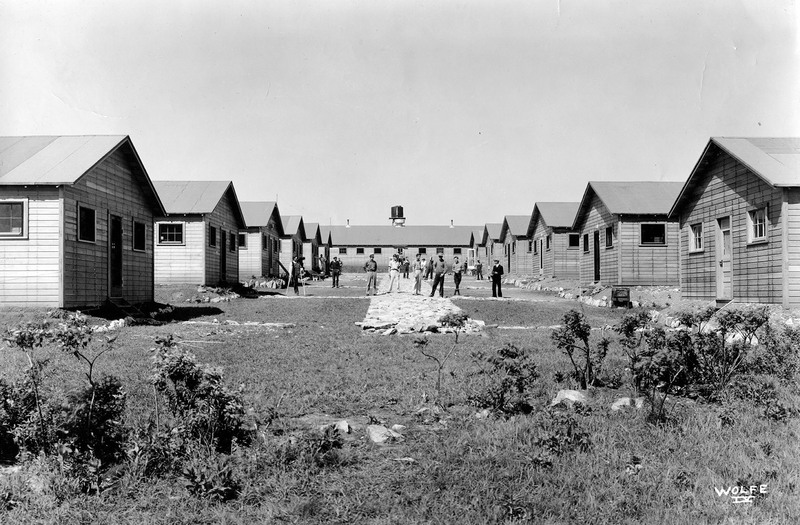 Ohst lived on the west edge of Alma on West 3rd Street in his early years in Alma, and in later years he boarded at Bertha Eck’s home on East 3rd Street. Louis Palenske created this studio portrait of Alma, Kansas artist, August Ohst in 1888. Ohst produced the portrait, “Nixie Simpson” for his close friend, photographer, Louis Palenske in 1925. The Nixie Simpson painting is a rare example of an Ohst portrait. Simpson was a local lad who, along with his father, Bill Simpson, were good friends of the Palenske family. This oil painting an of Alma, Kansas resident, Nixie Simpson was created by Alma, Kansas artist, August Ohst in 1925. Image appears courtesy Victor Palenske. Ohst was a prolific producer of art during the fifty-six years he lived in Alma, Kansas. 1885 Wabaunsee County Plat Map – Pages scanned by Greg Hoots and assembled and stitched by Tom Parish. Map of school districts in Wabaunsee County in 1882. 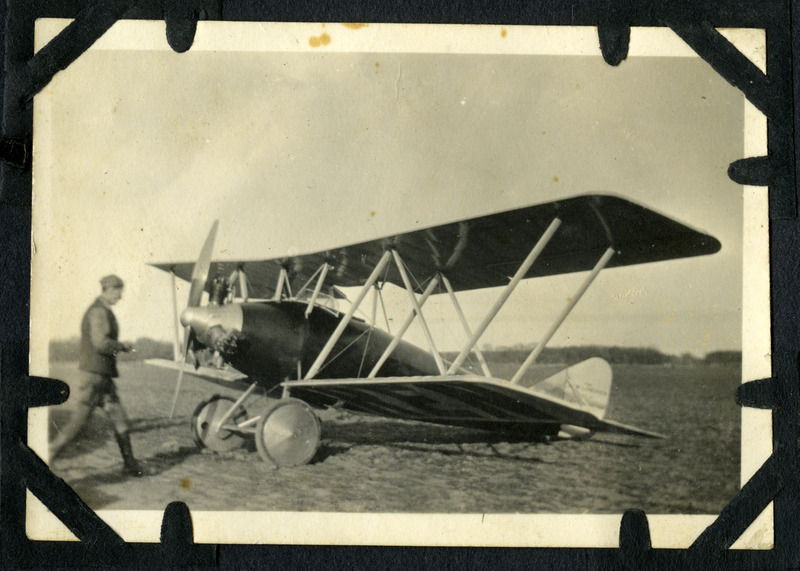 Albin Longren lands plane at Alma. Click on image to view. See the latest news from The Volland Store, click on image to view. View photographer Tom Parish's unique views of Flint Hills caves and cellars. Lake Wabaunsee 1933-1945. Click on image to view.